Autumn can be rightly called the most generousThe time of the year - this wonderful and amazing time man gathers crops from fields, vegetable gardens, forests. In addition to all the delicacies, autumn gives abundantly and diverse material for children and adult creativity - fir and pine cones, fruits of chestnuts, acorns, bright foliage. Autumn crafts can not only becomeOriginal toys for the baby, but also an unusual decoration of the interior of the house or apartment. We learn about the best ideas for creativity with the use of natural materials, as well as consider in detail several master classes to create bright toys and compositions. 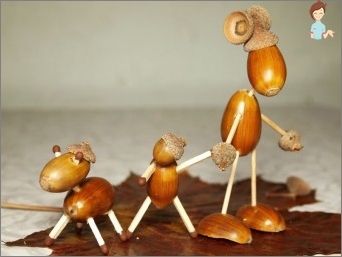 The simplest children's crafts made of acorns that you can make with your own hands are a variety of figurines of little animals and fabulous men. All additional elements - hands, feet, ears, eyes - are made in this case using the handy materials: wool, buttons, toothpicks, thin twigs and plasticine. 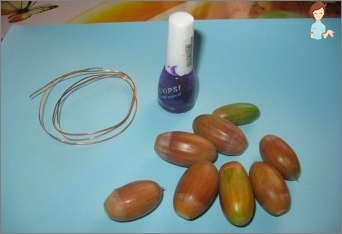 You can also fasten the parts in different ways - you can put it on the glue, you can apply clay, you can pierce the mounting material in the acorn material. Attention! This part of the work must necessarily be performed by an adult, since it involves the use of sharp instruments - a thick needle or an awl. Original children's crafts made of acorns look originalIn the form of toy dishes. Miniature cups made from hats, plates, teapots for puppet tea look no worse than a factory plastic set, which can also be unsafe for the baby's health. 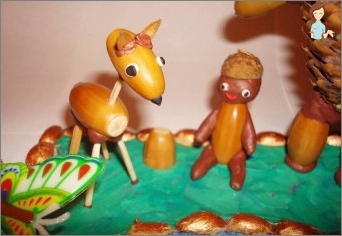 Countless variations of crafts made from simple acorns and plasticine - these are fairy dwarfs, and a whole magical field with trees, flowers, mushrooms, bright lizards, squirrels, monkeys. 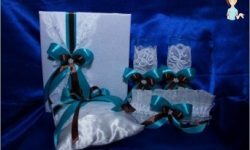 Using gifts of nature, the kid will be able not only to make for himself unusual toys - from acorns, you can make wonderful gifts for mom, grandmother, friends. In this work, the child can not do without the help of adults, but the more interesting, moreover, joint activities with creativity strengthen trust and mutual understanding between generations. First you will need to carefully remove the hats from the acorns. And then in each "Oak berry" Carefully make a hole. This part of the work the child must do under the careful supervision of adults or, in general, entrust it to the elder member of the family. In the holes made necessary to insert the wire and at the end tie it with a strong knot - so the future grapes will not slip. Wrap the wires with corrugated paper. At the next stage of work the future grape berriesIt is required to paint. Ideally, you need to use acrylic paints, but if they are not at hand - take the usual thick gouache. Attention: please note that you have to put gouache in several layers! Oak Berries Should dry properly and only after that they can be collected in a bunch. 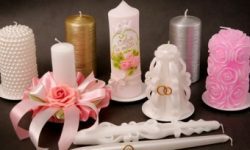 Collect bunch, not hurrying, fixing detailsWire as often as possible - so the product will be both beautiful and durable. After completing the assembly, cut off the excess wire, and thicker leg wrap tightly with colored corrugation. Remains of corrugated flakes can be used for cutting beautiful vine leaves. Acorn masterpiece is ready! 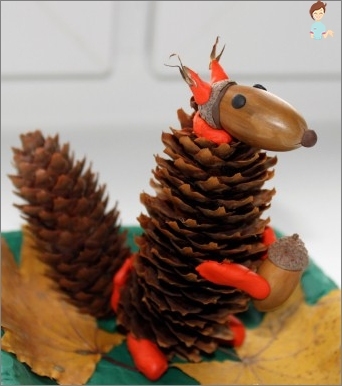 Autumn crafts are good because they can combine a variety of materials - for example, a pine cone can be an excellent basis for creating a fairy animal or character. Consider the option of creative crafts made of cones and acorns. A set of colored plasticine. At the first stage of the work from the white orLight-brown plasticine is required to fashion the body of our funny hedgehog. When the hedgehog is ready - attach a black pebble to the pointed spout, and from the red and black plasticine make him eyes and mouth. 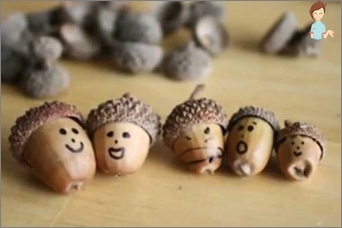 Gently cut the acorns into two parts andMake of the resulting halves of small needles at the head of a hedgehog. And as large needles on the back - evenly fix the small pine cones. Install the finished hedgehog on the stand. And that the hedgehog was not bored - make the bushes. To do this, just attach the cones to the surface and cover them several times with green acrylic paint. You can arrange on an improvised clearing andAcorn mushrooms. Remove the hats from the oak fruits and paint them with red paint, and cover the acorns in several layers with white gouache. As soon as parts of the future fungus dry out - proceed to assembly. Strengthen the parts can be both plasticine and glue. No less interesting and original look andCrafts made of acorns and chestnuts. For example - an unusual snake in which the fruits of oak will alternate with the fruits of chestnut. The process of work is simple - take the chestnut and glue it to the acorn. And so on until you get a snake of the right length. And to make the snake bright - paint it with colored acrylic paints and cover it with a shiny varnish. Toys from natural materials look likeNew Year tree is original and bright. Such a toy can be given to friends for New Year's or Christmas holidays or to decorate it with the interior of the apartment. Learn how to make a beautiful festive ball on a Christmas tree from the hats of acorns. To work you will need a ball - finished plastic or folded from a regular newspaper and additionally wrapped with tape. Note that it is incredibly difficult to glue the natural material with adhesive tape. Therefore it is necessary to additionally denselyWrap the paper ball with gauze, which must be previously soaked in PVA glue and white acrylic paint. The product should dry completely before you proceed to the label of the hats. While the ball is drying, you can do it.Coloring the acorn hats, if you want to get a colored Christmas tree as a result. Paint the hats in the right color with acrylic paint on both sides. If you want the toy to turn out in the phytodesign style, paint the outer side of the hats with white acrylic compound. When the ball and hats dry up - you can do it.The ultimate assembly of the toy. First, fix on the ball the tape, for which the toy will hang. In this work, it is desirable to use the most durable adhesive. After the tape has been strengthened - beginTo stick hats. Glue the hats tightly. 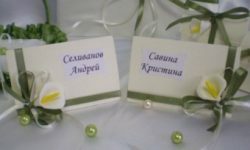 After the hats are properly adhered to the surface of the ball - you can do additional decor. For example - stick bright beads in the center of the hats, and cover the edges with glitter. And you can spray the whole toy with glitter. Such a toy - and decoration and a great souvenir for the holidays for friends and relatives. Enjoy your handiwork and useful pastime!